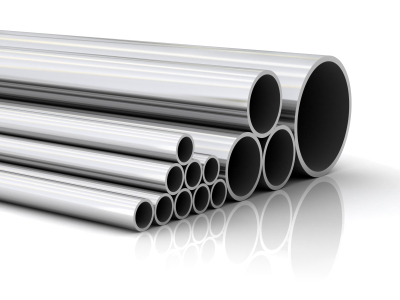 1) A 10 year Japanese study covering tubing trials in 2 large buildings, a hotel and a supermarket, examined lengths of type 304 stainless pipework in waters ranging from pH 7.1-8.8, 20mg/l chlorides, residual chlorine levels of 0.1-0.9mg/l and 28-50oC. Connections were made using welds, soldered fittings, stainless pressfittings, bronze compression fittings and flanged joints. 2) In Scotland, soft aggressive drinking waters have caused serious leakage problems in copper pipework. This was of particular concern in hospitals. To evaluate stainless steel as a replacement, parts of one hospital were retubed in 304 and 316 stainless steels and examined 2 years later. The water had a chloride content of about 20mg/l and pH of 8. The hot water pipe was 55-65oC. As a result, 316L was the alloy chosen for health care premises in Scotland. 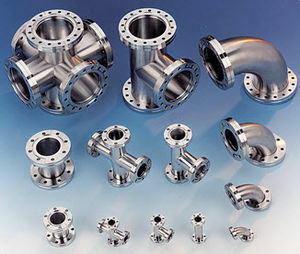 The initial trials used copper based compression fittings whereas stainless steel pressfittings have been used in subsequent installations. 10 years on, the performance of the early installations with pressfittings was assessed by the NHS in Scotland with samples of tubing removed and evaluated. The performance of the pressfittings was found to be excellent with no corrosion at all found in hot or cold water tubing.